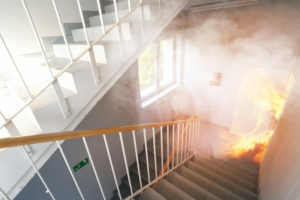 NFPA 101, Life Safety Code requires workplaces, healthcare facilities, and other occupied buildings provide comprehensive evacuation plans and routinely schedule and execute drills when they can. We’re sure you remember fire drills in school as a child. What, as a child, was a chance to get out of the classroom and goof off with your friends a little, remains a gravely serious point of stress for the teachers and administrators. Perhaps you recall how seriously they took those drills? There’s a very good reason for that. Now that you’re in a similar position, it’s important to know how to face an emergency while maintaining composure enough to reassure those in your care. During a live emergency, our body chemistry changes. Fear and adrenaline are powerful influencers, but you have to be methodical, applying logic to any number of scenarios. 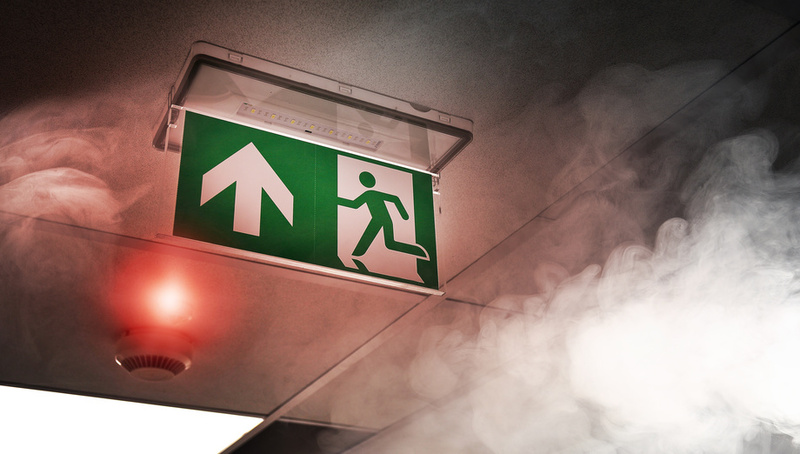 Here’s how to approach an emergency situation calmly. Panic is one of the first things happen in an emergency. It’s your responsibility to assure those in your care that everything is going to be fine. Do you know that for sure? Of course not. Will it calm a crowd? Yes, it will. Calm people follow directions much better than panicked people. While empathetic, you also have to be direct and firm with instructions. Before moving to safety, you must assess the situation. Where are the exits? Is everyone present? Will people require handicap evacuation chairs? Are there injuries? Can injured people only be moved via evac chairs? Once the assessment is made and accommodations are in place for everyone to be evacuated, then you’re ready to go. Evacuating an emergency demands order. Fortunately, people are really fond of their own physical safety, so they’ll be working their hardest to be orderly. Yet, you know better and are responsible for setting tone, pace, and conduct during an evacuation. 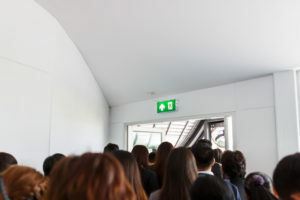 Encouraging and reminding them of the orderliness throughout the evacuation procedure will help evacuees visualize it and remind them of the importance of order. Once everyone has been brought to safety, make sure they stay together. Then contact the authorities. Your responsibility is to the group you’re immediately responsible for. Keep injured parties in their evac chairs for until medical personnel arrive and continue to reassure the rest of the group of their safety. Emergencies come with a battery of psychological and physical consequences. It’s your job to handle them in stride and look to the safety of others.